Every once in a while it's important to stay in touch with the suburban scene :) Erica and I were having dinner with her mom in the burbs and we chose a local Mexican favorite (especially since we had just returned from Mexico :). We had a nice meal highlighted by a huge bowl of table side guacamole and pitcher of tasty margarita. 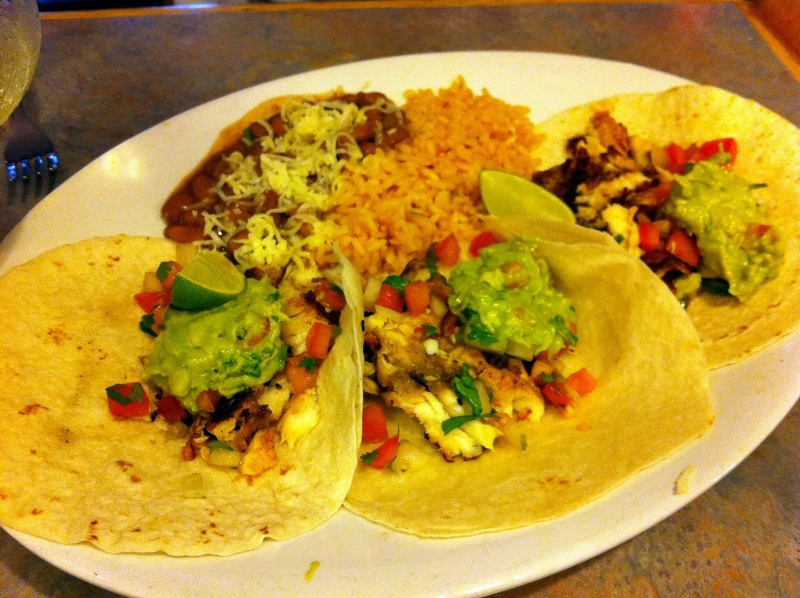 We all managed to order various forms of tilapia - tacos, fajitas and main dish. I'd say the food was a bit underwhelming but certainly filling. It probably was a bit of a mistake/oversight NOT to stick to traditional steak tacos or chicken quesadilla. I ordered the Tilapia Diablo on a suggestion from our server (the same server that was very overwhelmed with his job...). 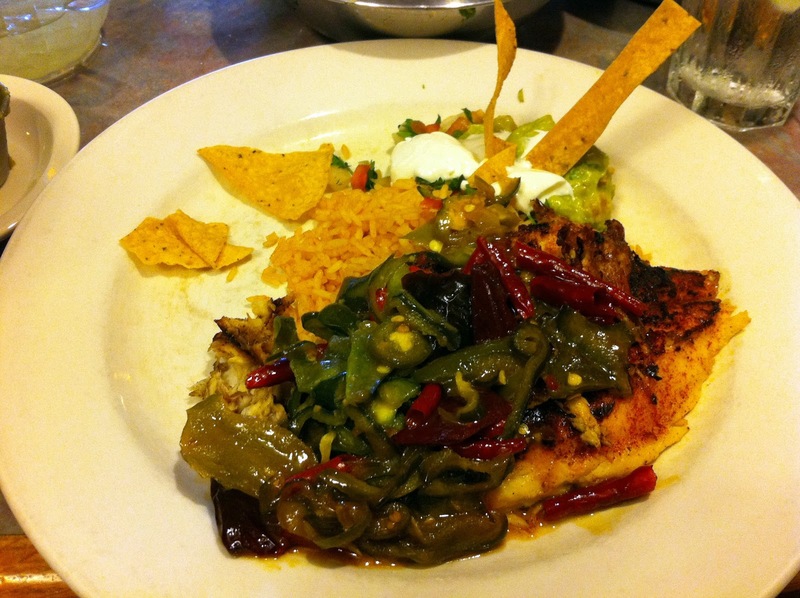 It was a decent piece of fish, but all they did was throw some jalapenos and green peppers on the fish with a side of rice and beans. Erica's fajitas were pretty good, served with all the fixings and arrived pipping hot. She ordered it with mango to add a nice citrus and fruit flavoring. Jean's tacos looked tasty with nice a pico de gallo and guacamole topping. I didn't try it but I assume the tilapia was as well cooked as mine. Yerbabuena was packed as we left and many people were coming for pick ups. 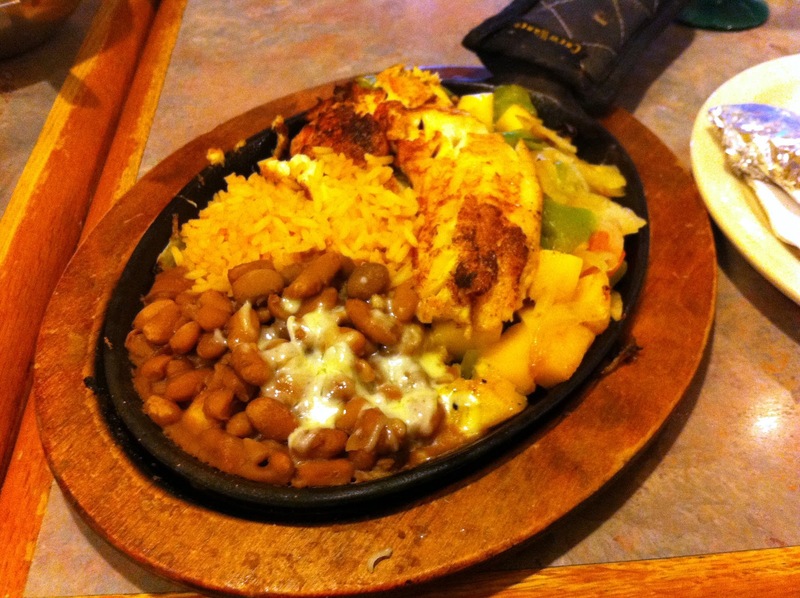 It's a nice suburban Mexican staple with all the traditional options. I'd stick with the regular choices, get the guacamole and enjoy the margaritas.